IBM® Security zSecure™ Audit for Resource Access Control Facility (RACF®) enables you to detect and report security events and exposures on mainframes. It works with IBM z/OS®, IBM MQ for z/OS, IBM DB2®, IBM Customer Information Control System (CICS®), IBM Information Management System (IMS™), UNIX and Linux on IBM z Systems®. 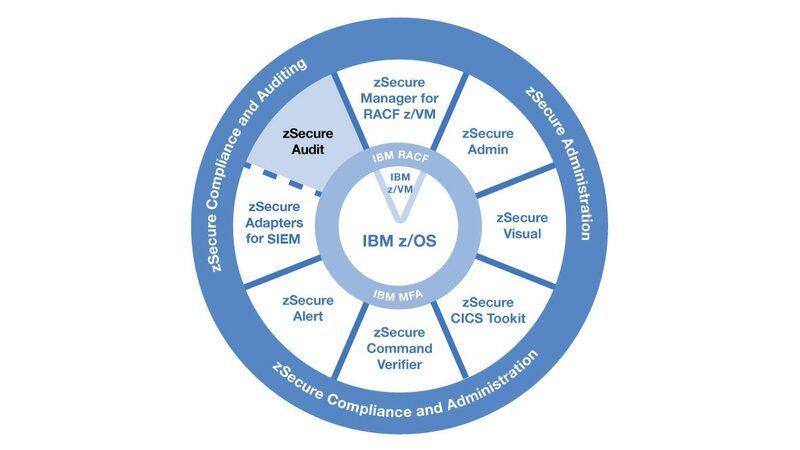 zSecure Audit for RACF provides integration with IBM Security QRadar® Security Information and Event Management (SIEM) to help ensure the mainframe is included as part of enterprise-wide security monitoring. It also provides integration with zSecure Admin to quickly remediate exposures. Provide visibility of the RACF database to help identify critical changes, differences, inconsistencies or misconfigurations that cause security issues. Automate audit and compliance reporting tasks across multiple logical partitions (LPAR) and tracks and monitors security baseline and sensitive resources. Enable you to report on user behavior and identify users who can circumvent system security by offering extensive coverage of Systems Management Facility (SMF) records and predefined event reports.